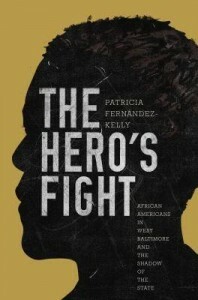 Focusing primarily on Baltimore, Patricia Fernandez Kelly’s The Hero’s Fight highlights the lives of 50-60 families whom she interviewed during a span of well over a decade. Kelly theorizes that the understanding of an embedded autonomy that shapes the government’s interaction with the majority of its citizens is not what is experienced by the citizens of places like Baltimore. Instead, what she calls the “unholy trinity” of disinvestment, predatory commerce and bureaucratic interference are main contributors to the plight faced by members of the families she interviews. Kelly describes capital retrogression, otherwise known as “White Flight” as the exodus of financial and human resources from inner cities (p.109).” The phenomena began in the 1970’s as a result of the migration of southern Blacks to northern cities in search of opportunities for work and distance from the extreme bigotry that they still experienced below the Mason-Dixon Line. As white business and homeowners fled the scene, property values plummeted, and a foundation of resources and productive investment went along with them. This left these spaces to be occupied by the other two portions of the “unholy trinity”: predatory commerce and government bureaucracies, both of which did little to support the success of inner city black business. Finally, the presence of liminal government institutions plays an enormous role in the inability of many blacks to prosper in settings like Baltimore. Kelly uses the word “liminal” to describe agencies that operate on the implicit or explicit assumption that their claimants are likely deceitful and undeserving (p.116). The mark of suspicion on the relationship between the state and its impoverished citizens creates what Kelly calls a “distorted engagement.” It is the constant interference of these institutions such as Child Protective Services, that haunt struggling parents like Lydia Forrest with the threat of losing their children. Living in such constant fear creates horizontality between parent and child that can undermine a parent’s authority, which is what Kelly uses to explain the behavior of some of the young boys and girls she interviews in her account. Children in these situations don’t believe in the authority of a poor parent, who is in turn hesitant to discipline them.